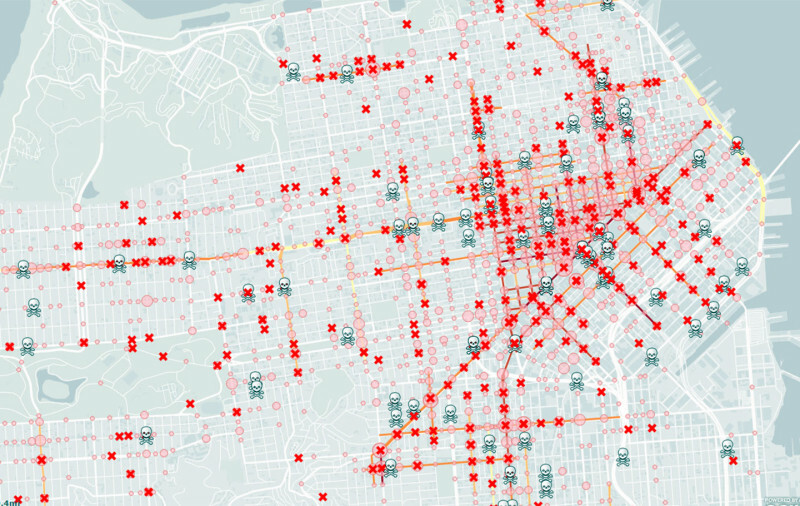 Bicyclists and pedestrians beware: San Francisco’s major commercial corridors can be lethal. Surprised? Probably not. 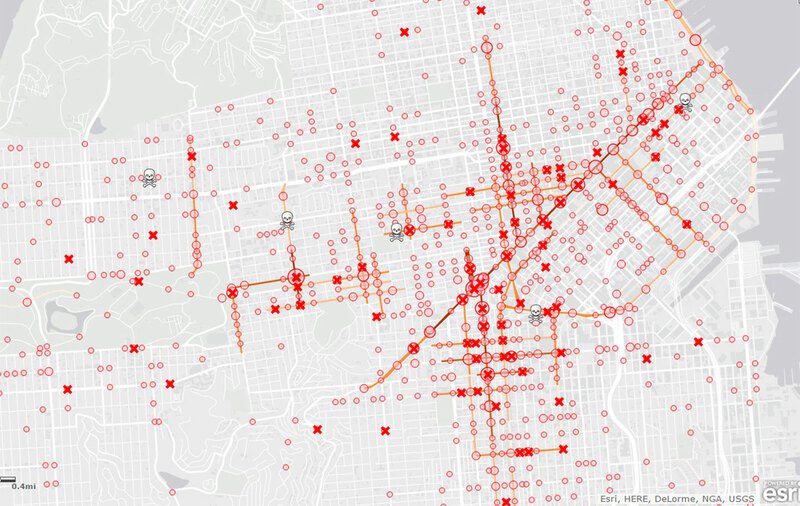 But now you can see that reality in startling detail on the city’s interactive maps, which show exactly where thousands of people were hurt or killed when they were hit by cars. The maps are products of the new “Vision Zero” policy agenda, which the city adopted in early 2014 in an effort to make the streets safer following a spate of pedestrian deaths. The maps draw from data that the California Highway Patrol collected between 2005 and 2011 that city agencies compiled and analyzed.